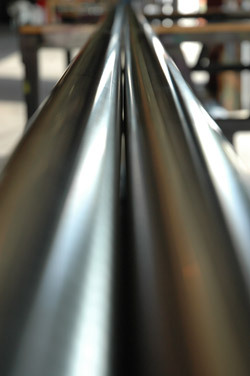 Best Stainless is one of the leading suppliers of Pump Shaft Quality (PSQ) bar in the United States. PSQ in the stainless and nickel industries, indicates turned, ground and polished shafting used in the rotating industries. The tight diametrical tolerance achieved through grinding decreases wear and gives a more constant product with controlled properties. We keep a large inventory ranging from ½" to 5" in a variety of available grades all in 20' R/L. In addition to keeping stock in PSQ, we also keep oversized bar in each grade for custom shafts. We keep a large enough inventory to supply quantities required by pump manufacturers, but are also willing to supply single shafts needed for repair or refurbishing.